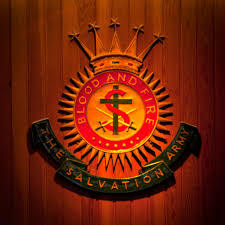 Dear Salvation Army, Warning – Spiritual Alzheimer’s and Atrophy! Pope Francis recently criticized his own church’s bureaucratic leaders of being power hungry and having spiritual Alzheimer’s. Wow! Hearing those words strewn together for me has become a warning of sorts to us here in the Army. This is something very practical that I believe we too face in the Army. Politics and bureaucracy exists in every church regardless of denomination. Believe it or not, dear soldier, we too have this struggle in our army. We too have, at times, individual leaders who suffer from spiritual Alzheimer’s . We too have, at times, have individual leaders who are afflicted with spiritual atrophy of the heart. Politics and favoritism is nothing new and it certainly does happen within this army too. Does that make it ever right? Absolutely not. Can God intercede? He certainly can and He will. You see, dear soldier, the real danger in our Army doesn’t come from outside, it comes from within. We can be our own worst enemies at times. We can get so caught up in preserving these political games and regulations that we, in effect, execute fellow soldiers for it. The danger in our army IS SPIRITUAL ALZHEIMER’S! The danger in our army is SPIRITUAL ATROPHY! This can happen not just to people within executive levels of leadership though, don’t fool yourself into thinking you are immune, No! This can happen to anyone within our ranks of this Army! Be careful! Watch out! Don’t lose sight of who you serve and why you serve! Your craving for power will eventually ruin you. Your lust for positions and destroy your ministry. You have become the church of Laodicea…so watch out! Turn back! Seek repentance. God will not honor your efforts of lukewarm spirituality! He will not honor these petty offerings of lip service and displays of “soldiership”. God knows our hearts! God doesn’t want these afflictions to destroy us! He wants us to be spiritually healthy, not spiritually atrophied! Dear soldier, look out for these pitfalls in our Army! Spiritual Alzheimer’s and Atrophy is very real! Be aware of them. Do not slip into the same trap as others have already done! Do not forsake your first love for the lust of power and position. Do not become slack in your devotion to Him. Do not keep Him too far from your heart and mind. We need you! We need the next generation to step up and be on fire again for the Lord! We need more than lip service and positions telling us how to move this army forward. We must not stop fighting for the lost and seeking to help the marginalized in our world! When those who become afflicted with such spiritual diseases see the marginalized and poor they close their doors to your offices of power and close their eyes as well. We cannot afford to do this, dear soldier! We were commissioned by God, as Christ’s disciples first to lead others to Him. We must not falter in this. We must never close our doors and close our eyes! If we ever do, we not only jeopardize our spiritual walk but the potential spiritual walk of those seeking. Beware, dear soldier, Spiritual Alzheimer’s and spiritual atrophy are very, very real to our army. -More for our Army to ponder today. Great post. Totally agree with your thoughts. Thing is we need TSA leadership to get behind people who are not letting spirituality and faithfulness slip. Sometimes too easy to pay lip service and please the crowd. There appears to me to be a real fear that we may lose too many people if we become radically serious about our call. I would say we’ve already lost them. I quiet agree, I had reason to think on this over the last couple of days. If we do not look after our internal spiritual health (our relationship with God) then it will not matter how much we “do” for the Lord it will be filthy rags. If we cannot communicate love to those already inside our churches, it will not matter how many sinners walk through our doors they will not stay. I would venture to say that getting new people through our doors with programs, small groups and “being relevant” is the easy part but being able to keep them in the church through real spiritual growth (the hard challenging stuff) can only be done through real core health of the leaders and ourselves. We cannot communicate effectively what we do not feel. If we have a burning love for God for shedding His son’s blood to save us this will be flow out in waves like the heat from a fire.